The owners were so friendly and helpful - keen to help make our stay as good as possible, and it really was. Loved the fact the rooms all have balconies looking out over the beach, and you can hear the lapping of the waves on the shore from your bed! Tiny kitchen but enough to make simple food/drinks, fridge-freezer etc all good. Property very clean and comfortable. Perry the kitten was a highlight! The apartment is beautiful, spacious and spotless with everything you need including a coffee maker! The balcony has a lovely view of the beach . The owner is very friendly and can’t do enough for you and is always on site should you have questions or need anything. There is a beautiful garden where you can pick your own lemons or herbs which is a lovely touch. Nice location ! Couldn’t be beat... Castle,town and beach all easy to visit! Beautiful appartment with new kitchen appliances, a gorgeous view over the sea from the balcony and a beautiful beach with sunbeds for the guests of the house. Ww liked the owner,who was very helpsome and kind. The studie was very clean and comfy. The hotel was situated very close to the beach with a lovely view over the sea from the balcony and it was a lovely quilt area. Host was very welcoming & couldn't do enough for us. This is a wonderful place to stay, comfortable, spotlessly clean, the beach and the sea literally right outside your front door. It's a short walk up over the hill into Koroni (took us about 7 minutes) for bars and restaurants, but the studio apartment is also very well equipped, with a proper hob and oven and big fridge. We really hope to go back. Lovely hosts who couldn't do enough for us. A beautiful, bright and spotless studio. 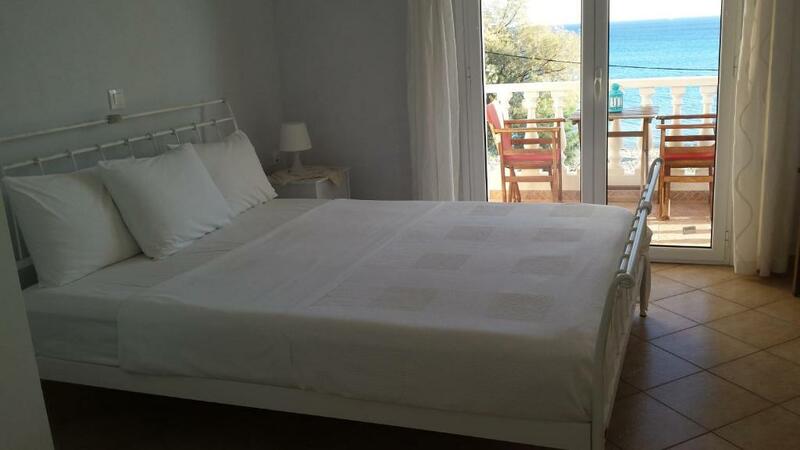 Excellent large bed with comfy mattress and good sheets - amazing for Greece! Dimitris was a great host and was available for any questions or requests. He serviced the studio daily. Everything was clean and fresh. The balcony overlooking the sea was wonderful. Der freundliche, hilfsbereite und zuvorkommende Vermieter. Dieser hat täglich die Liegen und Sonnenschirme an den Strand gebracht. Es gab täglich frische Hand-und Duschtücher. Tres bon accueil. Belle plage au pied de l'hotel. Lock in a great price for Akti Zaga Apartments – rated 9.7 by recent guests! 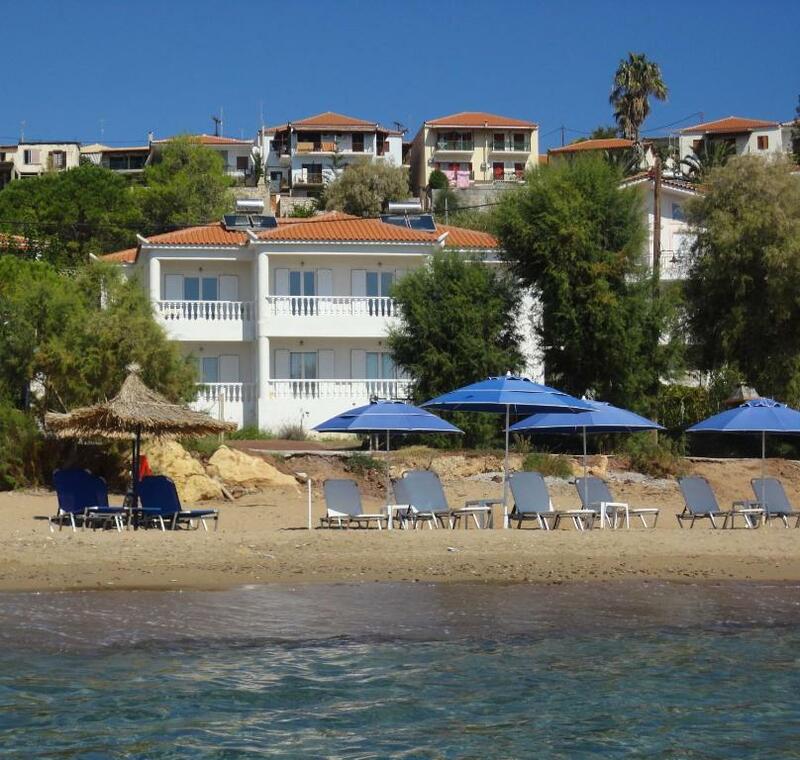 Located only 50 feet from the sandy Zaga Beach, Akti Zaga Apartments is within a 10-minute walk of the center of Koroni with restaurants and shops. 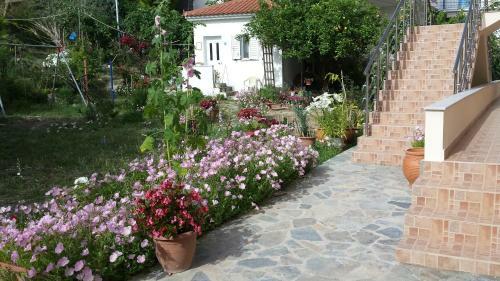 It offers air-conditioned studios with terrace overlooking the Messinian Gulf and the garden. All studios at the Akti Zaga provide a TV. 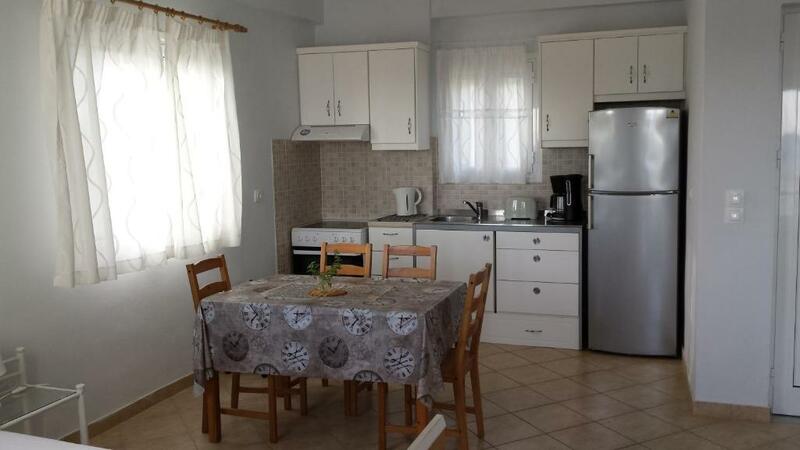 There is a full kitchen with a microwave and stove. Featuring a shower, the private bathroom comes with a hairdryer and free toiletries. 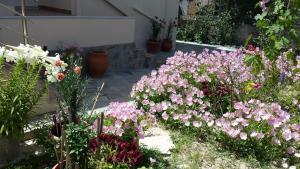 At Akti Zaga Apartments guests can find a garden and barbecue facilities. Kalamata Airport is located 28 mi from the property. The property offers free private parking. This property also has one of the top-rated locations in Koroni! Guests are happier about it compared to other properties in the area. When would you like to stay at Akti Zaga Apartments? Just 66 feet from the beach, this air-conditioned studio offers terrace with sea and garden views. Includes a kitchen. House Rules Akti Zaga Apartments takes special requests – add in the next step! Akti Zaga Apartments accepts these cards and reserves the right to temporarily hold an amount prior to arrival. Please inform Akti Zaga Apartments of your expected arrival time in advance. You can use the Special Requests box when booking, or contact the property directly using the contact details in your confirmation. After a long journey we were welcomed by the hospitable hosts Dimitris and his wife, and quickly settled into the best place we have ever stayed in Greece. The spacious airy apartment is nicely furnished, well equipped and maintained, with daily servicing. We had everything we needed. The views from the apartment are stunning and the location couldn't be better, two minutes walk from the beautiful, long sandy Zaga Beach. We appreciated the loungers and sun umbrellas on the beach. There is a taverna on the beach, and a mini market a few minutes walk up the hill where basic supplies can be bought, and they even deliver to your apartment! There are further shopping options in beautiful Koroni town, which is only 10 minutes scenic walk away. There was plenty to keep us occupied in the immediate area for over a week, relaxing on the beach and apartment balcony, exploring the town and the peaceful fort and monastery from where you get magical sunset views. 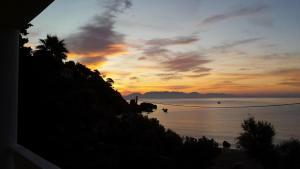 Koroni town itself is relaxed and friendly with a good selection of places to eat and drink. We hope to return! Mosquitoes! With the mosquito screening on the windows and the fact there was no insect repellent device or spray, we thought we were safe but got badly bitten. It would be good to provide the little plug in devices. A few more kitchen implements (e.g. a grater and a sharp knife) would have been nice. A cafetiere would have made us very happy although there was a coffee filter machine. On my opinion absent of Safe in the room but I was told that Safe is not allowed to be in Studio’s this is due to Greek legislation and Safe is present at the Reception. Well what can I say, we (me, my wife and 10 years daughter) been in many countries before and not first time in Greece and now for sure not the last time. Starting from nice sand beach with shallow entrance – perfect for families with children on 15m distance from your room, studio (modern with all new and functional furniture) with all necessary for families that want to cook for themselves, TV with plenty channels, WiFi on the beach and all property. Beach bar beside the fence and very important for me without any music. 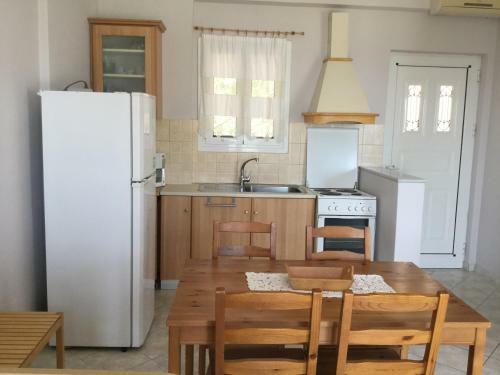 We came with car but never used during our 7 days stay, closed mini-market about 250m away but I would suggest to visit super market in Koroni village about 450m close to the harbor also here you can find nice fish restaurants, Pizzeria, etc. For people who like to swim with mask 50m to the left will find rocks from destroyed fortress in WW II where now you can see plenty exotic fishes and if extremely lucky a turtle. Old monastery with story and many other things that I can keep describe here. On top of this I never meet such a really passionated owners (Mr Dimitris and His wife), they will give you all necessary information, respect and care. I fully agree with there rating.